Home - AWO Kreisverband Fulda e.V. 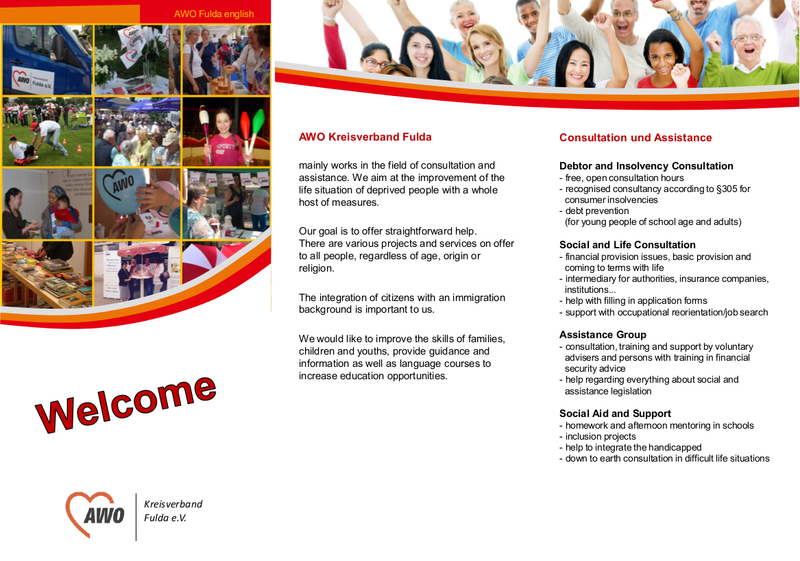 AWO, administrative district Fulda, welcomes you! We are a member organisation that emerged from the labour movement. With this background, we fight for a socially just society and exert political influence. Our goal is to encourage social thinking and action as well as defend democratic fundamental values. In a free and just society, each and everyone has a responsibility for the others. We practice solidarity and strengthen the responsibility for people for the community. We help people to be able to organise their lives in an autonomous and responsible way in all phases and promote alternative living concepts. 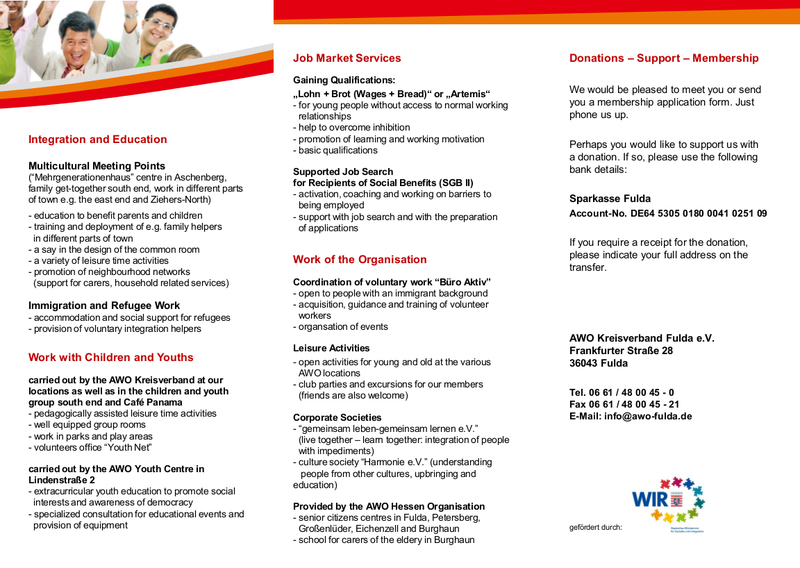 We offer high quality social services for all. We are professional, innovative, reliable and guarantee that through our voluntary and full-time employees. We preserve the independence and autonomy of our organisation; we guarantee transparency and monitor our work. We work closely together with regional corporate actors in further training and qualification to enable people participate meaningfully and satisfyingly in their work lives. We act with a social, economical, ecological and international responsibility and stand for a sustainable exploitation of the resources at hand. Freedom for us does not only mean freedom from hardship and degrading dependency. To be able to live freely, one has to have an income and education. That is the only way one can participate in a society and use his rights. You’re welcome to write us an email in your first language.